Whitby Town and Stafford Rangers shared six goals in a thrilling Evo-Stik Premier Division game. 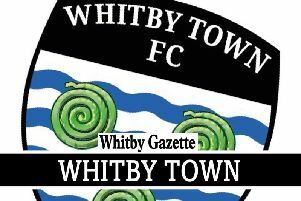 Whitby made the worst possible start as Tom Thorley volleyed Stafford Rangers into the lead in the first minute. The Blues levelled thanks to a Dale Hopson penalty on 35 minutes after the latter had been brought down in the area. Five minutes later Lewis Maloney put the away side in front, but almost immediately Joe Cuff levelled for the home side. Callum Patton's powerful shot into the top corner put Whitby ahead again in the 70th minute, but nine minutes from time Cuff's second of the game earned the home side a share of the spoils.